For many years, we depended on our TV sets, radios, newspapers. But when the internet was born, everything has changed, almost overnight. Since then, the internet has become a major part of our lives. It has become indispensable because we consider it as the biggest source of communication and information for us. More than 4 billion people all over the world are using the internet to listen to music, to shop for clothes, get directions, and much more. Anyone who owns or who has a computer and internet connection could be your customer. The secret of being the best at internet marketing is to learn the basics. It requires at least a basic understanding of computers and the online world — your prospects. Once you discover how to market online, together with the right strategies (which are the basics), a marketable plan, and just a few secrets, you could reach the success you ever dreamed of. And if you wonder what secrets would it be that you want to have, it’s a system. A system you can follow again and again to generate cash continuously. Internet marketing provides immeasurable advantages, but on the other hand, internet marketing has also its disadvantages. It is very important to consider these advantages and disadvantages when creating your internet marketing strategy. Each of the disadvantages could be conquered, but only if you view the customer experience from the eyes of your consumer, not as an internet marketer. Another disadvantage of internet marketing is that there is a lot of competition for your product, by the time your potential customers finds you; they have already been clicking many links. But competition may not always be a downside, do your advertising well, learn from your competitors and you can start boosting your business profits more than ever. The good side of internet marketing is that it allows you to broadcast your message to millions of people at once without paying for expensive ads — at least much better than the offline expenses. You can provide extra information like pictures, sounds, and even videos plus you can change your site whenever you want. Internet marketing is not limited to having a web page. Email lists, newsletters, and catalogs offer other means of reaching customers. And the most important thing is, your website is available 24 hours a day, 7 days a week, so your customers can reach you anytime they want. If you have a website up and running, it’s time for you to know how to successfully market your product or service on the internet. Search engine optimization and back links are very important to promoting your website, but if you think it’s enough, well, it isn’t. Internet marketing doesn’t stop there. Auto-responders, affiliate networks, and discussion forums are also effective in internet marketing. But the very key to internet marketing is creativity — being different. Well that sounds pretty easy, doesn’t it? This process actually works too, except that your probability of converting your traffic into sales is very, very, very low. In other words, you may have to have thousands of people to visit your affiliate sales page before you ever see your first sale. Now those aren’t very good odds, are they? Unfortunately, that is what most people do. They spend a lot of time, effort, and money getting all of those people to that affiliate sales page and then they finally make a sale and earn a referral fee or commission. But wait, it can get even worse. Let’s say that you made one sale and earned a $10 commission. That’s great, right? Well not really, because in the terms and conditions of your affiliate program, you don’t actually get paid until you have accumulated at least $20 of commissions. So get back to it and get another sale and finally get paid. Good grief! Don’t quit! Affiliate marketing is a great way to make extra money, but you have to know some of the secrets. Here’s one. “Don’t advertise your affiliate program directly.” You must use a four step process. Finally, if you have been providing valuable information and earning trust from people, it is much more likely that they will buy something that you recommend. This is especially true if you can convince them that what you are recommending will help them and that it is worth their money. The easiest way to do this is to recommend something that you have actually purchased and used yourself. 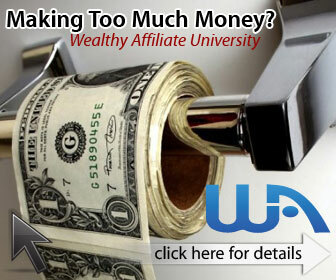 Like this program that I really helped me get my affiliate marketing business off the ground. Just tell them how the product/service helped you and why you think that it was worth what you paid for! The online marketing world is fundamentally different than brick-and-mortar business marketing. However, like all businesses, successful people follow one set of rules, and those who fail follow another. Entrepreneurs who do not follow solid business and marketing plans seriously impair their business growth. The business world is full of secrets that are not secrets at all; they are truths that have been proven to build wealth. Affiliate marketing requires some building blocks. The first step is to build a website. This is not the focus of the marketing campaign, but it should be viewed as the center of a spider web. People should move toward the center of the spider web, where they make a purchase. This is where most people fail. People rarely make a purchase the first time to a website. That is why the website should direct them to a network, which is created to draw them back to the place where they are asked to make a purchase. The network includes a blog that offers free content that other webmasters can post on their websites. This should also promote a newsletter that is for your loyal members and consumers. The purpose of the blog and newsletters is to build a mailing list. These comprise the core of the marketing campaign. The second part of the marketing campaign is designed to bring readers into the network. This includes a forum, lenses, and free content articles. A forum also builds an online learning tool that can be used to sell, educate, and build customer loyalty. It is the most powerful – and overlooked – tool in the Internet marketer’s toolbox. Targeting an audience who needs your product may reduce hits, but it increases the number of sales, and in turn the Return on Investment (ROI). Pay Per Click has long been the mainstay of any Internet Marketing campaign, but it can be a waste of money. Some PPC programs let online businesses target specific websites, or even post their ad at the top of searches. These ones will dramatically increase the website’s ROI. A cheaper way to increase your website’s exposure, and attract your targeted audience, is to use free content articles. Each one of these can be written to pre-sell the consumer, and encourage them to follow the article from the website, to your businesses’ network. Lenses are the newest tools in the search engine arsenal. Myspace.com now sends more traffic to websites than MSN. Other popular lenses are www.hubpages.com and www.squidoo.com. These sites are all designed to act as secondary websites. Each lens is positioned on the outside edge of the spider’s web, and draws visitors into the center website where they are encouraged to purchase the product. Website Directory Listings. Before you begin any marketing campaign, make sure that the website you’re promoting has been listed in the common directories such as DMOZ, Yahoo!, and Google. Even if you’re using a marketing page off of the root directory of your website, be sure that the primary site is listed. This ensures that prospects can continue to find your marketing pages long after you’ve launched your campaign. Generating Traffic. In order to realize a return on your investment, you need to generate traffic to your marketing pages. There are a number of ways to do so online. Some of the most popular include Google AdSense, Overture, and Looksmart. Other methods include joining affiliate programs and targeted website advertising. Research other websites that have the audience you’re looking for and negotiate favorable ad rates for your online marketing campaign. Marketing Pages. Don’t lead prospective purchasers to a generic website. If you do, potential buyers won’t know what to do next. The easier you make it for prospects to take advantage of your offer, the better. Whenever creating a marketing campaign online, provide a specific page for leading purchasers to your product or service or a billboard that showcases the offer. Take the guess work out of making a purchase and more consumers will buy. Testimonials. Customer testimonials are the most powerful way to sell your product or service. When consumers hear from those who have purchased and used your product or service, they gain a certain level of trust and comfort in what you have to offer. Solicit testimonials after each purchase and use those that are the most convincing to prospective purchasers. Create a Compelling Offer. Be sure to offer something that no one else is currently offering. 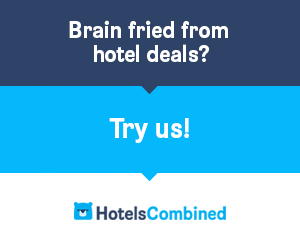 If your offer is similar to your competitors or is not very interesting, consumers have no reason to learn more. Of course providing something for FREE is often a great way to entice potential customers. Maybe it’s a 3-day free trial or a free evaluation of some kind. Be creative, try something new, and measure the response. Developing Trust. Before anyone will buy from you, your website or company needs to be seen as reputable. This means that consumers can purchase from you and not worry about the safety of their credit card information, personal information, or anything else being exchanged. A good method for developing trust is to purchase and display safety and reliability icons such as BBB Online, Trust-e, and VeriSign. Provide a Guarantee. Nothing makes a consumer more comfortable with a purchase than offering a guarantee. Perhaps you can offer a 100% satisfaction guarantee or a money back guarantee. A guarantee is a great way ease the risk of making a purchase. If your competitors are offering a guarantee, you want yours to be equal or better. Internet marketing is an incredibly powerful medium for segmenting your prospects and delivering targeted advertising. Online, you can easily measure your return on investment and refine your marketing campaign over time to improve results. Combining these tools, and updating content weekly, is the formula that has created unmeasured wealth for thousands of Internet businesses. Good luck in your endeavor.